We all make choices in life and those choices always affect the outcome, whether for better or worse. While many of these choices you make are subconscious, there are small conscious choices you can start making that will give you an advantage in those situations you find yourself in that are beyond your control. I’m specifically talking about the way you interact with locations you visit. While I’ll cover the broad topic, I’m specifically going to discuss choices as simple as where you sit. Let’s face it, there are certainly dumb criminals out there, but I tend to lean more in the direction of giving them more credit for street smarts than they probably deserve. Taking the approach that you don’t need to “outsmart” criminals is a mistake you don’t want to make. Criminals tend to favor softer targets, or locations where they know they’ll have a higher probability of success in said crimes. If you put on your thinking cap and put yourself in the shoes of a criminal, you’ll more than likely come up with many of the places I’ve listed below, which in my mind are common public targets of opportunity for criminals. Shopping Malls, Retail Establishments, Restaurants, Movie Theaters, Gas Stations and Grocery Stores are at the top of my list. Each of these presents enough discussion to turn into separate articles on what makes them “soft,” but what I’d like to focus on is why it makes sense to be remain aware of your surroundings in places like this and the small choices you can make to help your situational awareness. Years ago I took a few classes from the now-defunct SCG International, which reinforced a few habits that have stuck with me. They’re actions I take when walking into almost any building, whether it’s a restaurant, business, or even another person’s home. These all come from actions criminals are taking against you on a daily basis and go right back to my earlier comment about thinking like a criminal. When they’re searching for that lucrative target of opportunity, they go through actions that are commonly referred to as “casing.” This is nothing more than being observant without being noticed. 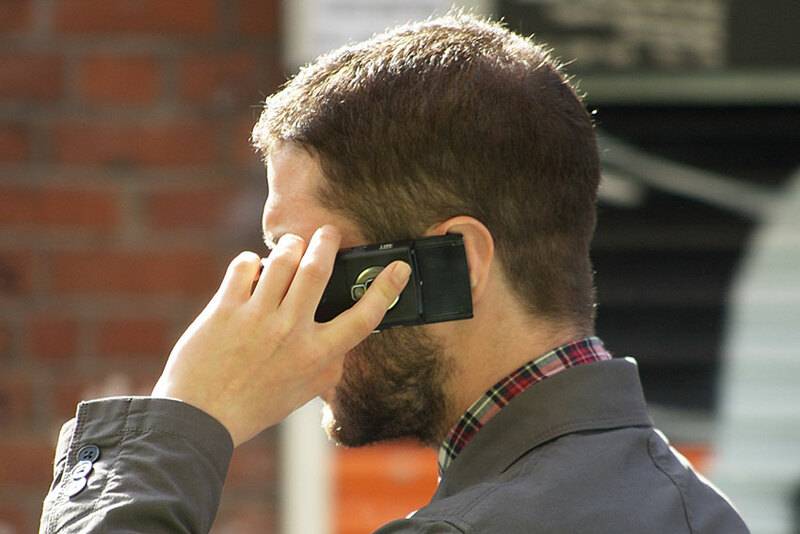 Good criminals can do this without alerting anyone that they’re doing it. Bad criminals exhibit telltale signs like wide kid-in-a-candy-store eyes, soaking in everything around them and pausing too long at certain places. You’ve seen it before, you just either paid attention to it, or ignored it. That’s the goal here, stop ignoring things that are out of place. It’s the first sign you’ll get before something even worse occurs. I get made fun of a lot for carrying a compass on my watch with wisecracks like “do you get lost a lot?” I laugh them off, but I always know what direction the front of the door faces where I’m at. This can come in handy when reporting what direction someone was headed who just left, or where to tell someone to go to reach my position using nothing more than landmarks. I try to be cognizant of those too on my way in. The exterior of a building can tell you a lot as well. Are there security cameras? Where are they pointing? 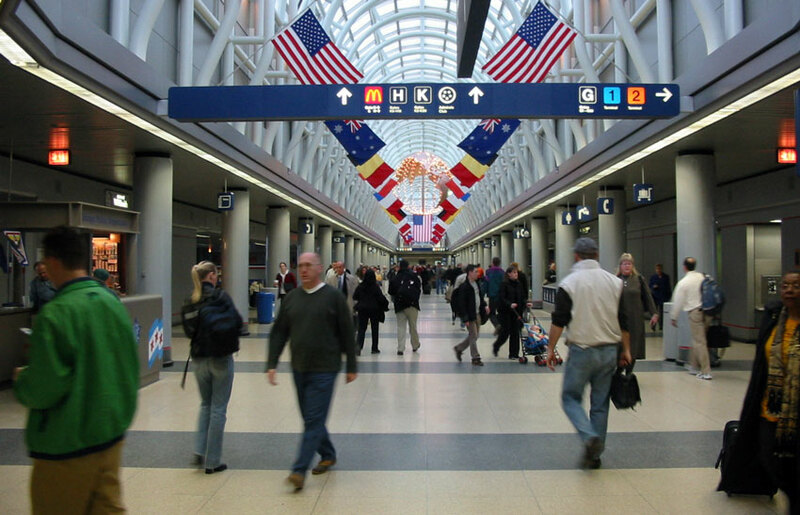 Where can you walk so your movements will be recorded? Many look at cameras as detriment and yes, we may be living in Orwell’s 1984, but you can use big brother technology to your advantage as well. If it’s dark outside, where are the areas in the shadows that a criminal would hide to get the jump on you? Those are good things to notice as you approach a building, so that you can plan the best route during egress. Speaking of leaving and now moving into the interior of the building, take note of the exits. Where are they? How many are there? Are they alarmed? Meaning, will an audible fire alarm go off if the door is opened? Back to cameras. Are security cameras utilized inside as well as outside? How many are there? Where are they pointing? In the unlikely event bullets start flying during the middle of that delicious Sashimi melting in your mouth, where can you move to hard cover at? What walls are more reinforced than others? Will they stop a bullet? 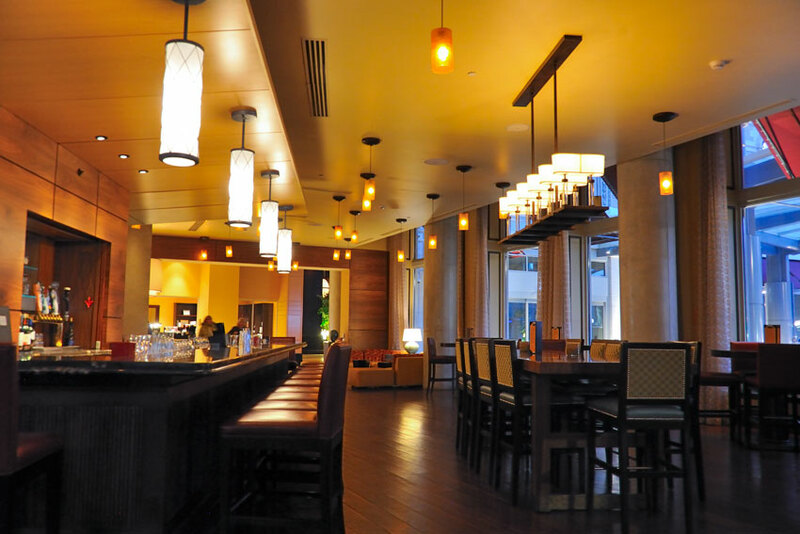 Typically the kitchen in a restaurant is good for hard cover and will more than likely include an exit that employees use to take the trash out. Something that will give you a leg up in your reconnaissance of the building and more advance notice of impending threats is to sit facing the door. I’ve never felt comfortable with my back facing the door, or shoved in the corner of a restaurant, unable to see what’s going on around me. Not only should the right location give you a vantage point overlooking the entire restaurant, but it will also let you observe the foot traffic through the primary entrance. Ideally this would be a seat with your back against a wall and as close to a secondary exit as possible. That front entrance is more than likely where a potential threat would come from, since you’ve already done your due diligence and sized up everyone sitting inside, right? 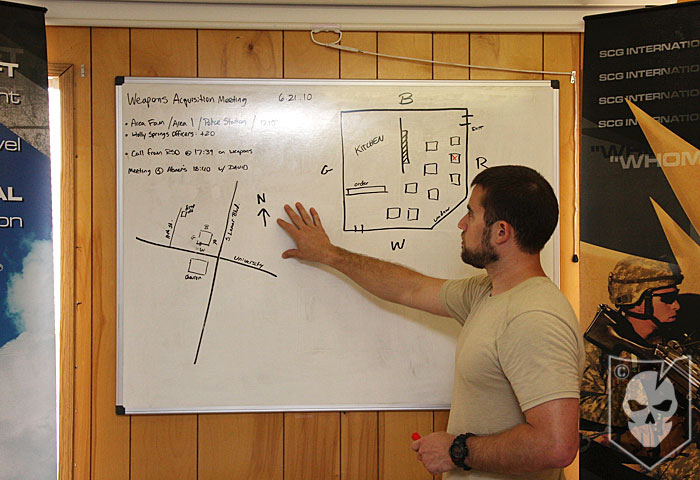 From your command position you can conduct your site assessment and make a trip to the bathroom to gather more information. When I was first trying to make these habits stick, I’d draw out the building on a cocktail napkin, labeling the entrances, exits, cameras, interior layout, cardinal directions and more. 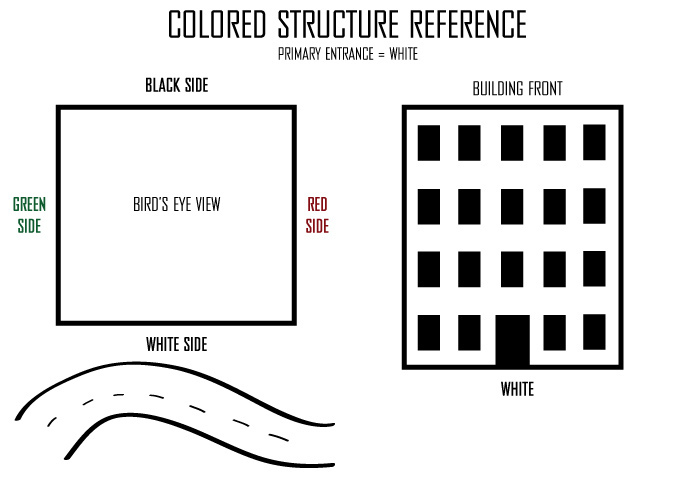 An additional way I was taught to refer to the sides of a building is through a colored structure reference, as shown below. The white side is always the main entrance side of a building, regardless of what direction it faces. 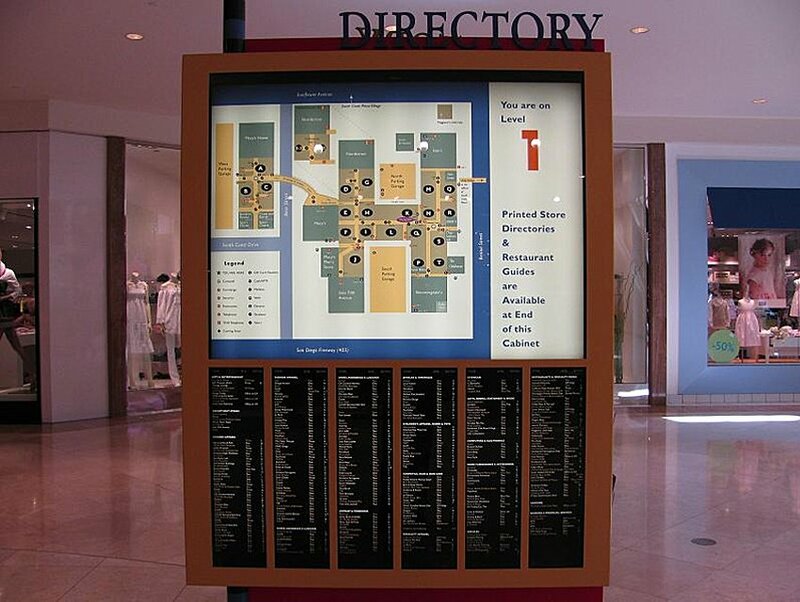 This creates an easily identifiable reference as an alternative to cardinal direction. To obtain the lucrative spot facing the door at a restaurant when I’m out with other people, I’ve been known to speed walk in front of them, just to get first dibs on where to sit. However, if it’s just my wife and I, she knows me well enough to know where I’d like to sit. Even if she’s not sure, she always courteously asks before she sits down. Just one of the reasons I love her. 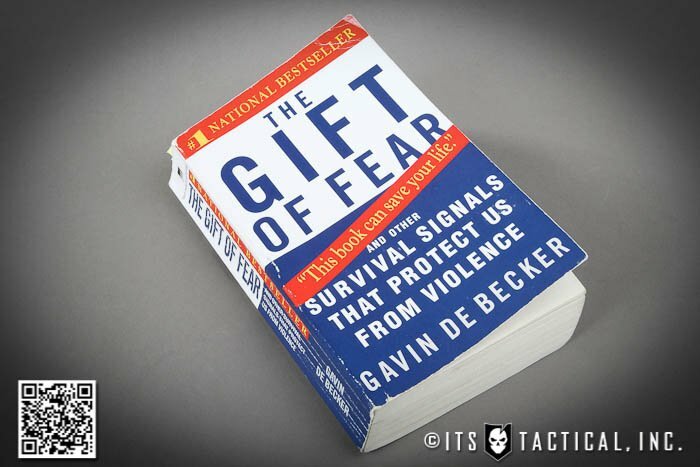 To take a page from Gavin De Becker, author of The Gift of Fear, predicting violence will always be an intuitive call. De Becker describes listening to your instinct as law and that if you’re constantly living in a state of fear and paranoia, you won’t be able to hear your instinct in the situations where it’s warranted and trying to save your life. That being said, you’ll know when you know. I’d highly recommended reading The Gift of Fear, which has helped my situational awareness more than any other one thing I’ve done. Rather, it’s actually taught me not to ignore what I used to dismiss as unimportant. Something I need to also address with this topic, is that I’m not advocating living in a constant state of hyper vigilance. No one can exist like that and it’s extremely counterintuitive. I don’t laser focus my attention on the front door and I don’t ignore the people I’m with at a restaurant. I do, however, keep my head on the proverbial swivel though and try to be as aware of my surroundings as possible. I want as much advanced notice of any threats as I can get. To jump back to not living in hyper vigilance, I follow the Cooper Color Code, which comes from Colonel Jeff Cooper and his book, Principles of Personal Defense. Cooper was known for advocating a color code to describe a person’s state of mind. Not so much in regards to a level of alertness, but purely the mental state. Condition White — You’re unprepared and unready to take lethal action. Condition Yellow — Your life may be in danger and that you may have to do something about it. Condition Orange — You’ve determined upon a specific adversary and are prepared to take action which may result in his death, but you’re not in a lethal mode. Condition Red — You’re in a lethal mode and will shoot if circumstances warrant. These conditions are obviously geared around shooting scenarios, but are applicable outside of those as well. Cooper also states in his book that you can’t live your life in a constant yellow, your body won’t be able to handle it. Another respected viewpoint I appreciate is from my friend and frequent ITS Contributor, Jeff Gonzales, who illustrated the importance of the Shock Threshold during one his mindset lectures at a course I was attending. He talked about this concept, which is the measure of time from the initial shock of an event to the point at which you react. Without incorporating ways to train your Shock Threshold, you’ll never know how you’ll react to situations. Factors that can affect Shock Threshold are physical fitness, age, experience (more familiar, less Shock Threshold) and genetics. Remember, strong people are harder to kill. It can be an intimidating, scary place out there, but that doesn’t mean you should live in fear, nor ignore your fears. Criminals always select the time and place; it’s out of your control. The only thing you can control is your reaction to what may be imposed on you and your family. Hopefully the ways I’ve highlighted to interact with your daily life are worthwhile enough for you to incorporate into your routine. Developing your situational awareness just might give you the leg up you need to avoid dangerous situations or even stop the criminals who just want to watch the world burn.